Super Pika Land Ultra: Chocolate Version is a Super Nintendo ROM hack based on the Super Mario World SNES game. 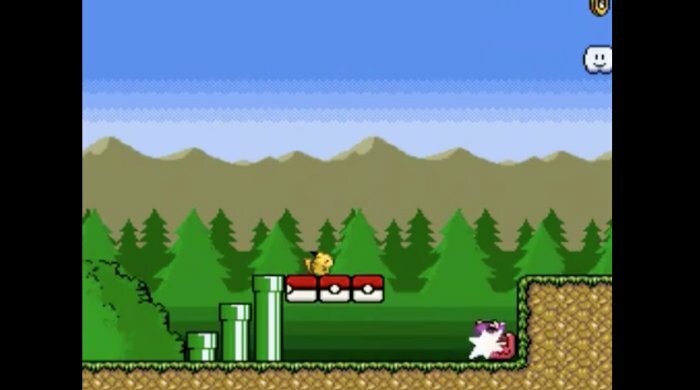 This hack is a further adaptation of the popular Super Pika Land Ultra Vanilla edition with custom Pokemon sprites, destructible blocks, and 60 unique levels! 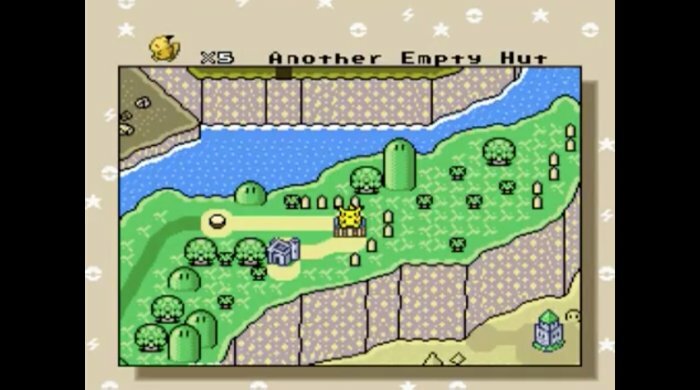 Super Pika Land Ultra is a SNES ROM hack that has seen many different releases. It builds on the Super Mario World SNES platform by introducing Pokemon sprites and sceneries for an exciting new adventure. Play as Pikachu and travel through 60 levels that are overflowing with hidden surprises, enemies, custom blocks, and references to other Pokemon. Super Pika Land Ultra: Chocolate Version acts as a pseudo-sequel to Vanilla Super Pika Land Ultra. The graphics remain colorful and vibrant and the gameplay operates in exactly the same way. However, now there are exciting new worlds to play through. Just like in Vanilla, you’ll find custom music, pokécoins, thunderstones, and unique levels to complete. 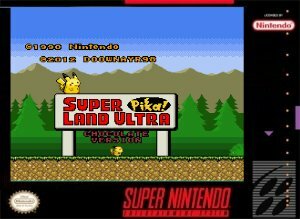 Developer Doownayr89 has been working on Super Pika Land Ultra hacks for many years and Chocolate Version is the latest in the series. It develops the well-established improvements by further expanding the world and dropping Pikachu into a whole new adventure. Question : Can I download and play Super Pika Land Ultra: Chocolate Version SNES ROM Hack? Answer : Yes 🙂 You can download Super Pika Land Ultra: Chocolate Version ROM from ROMHacking. The download links have been tested and are working at the time of posting this article, If you find the links don’t work please let me know by posting a comment below. Question : What Emulator Shall I Use To Play Super Pika Land Ultra: Chocolate Version (ROM Hack)?